Left with Colt revolver, Smith carbine, and horse. in USA Hospital. 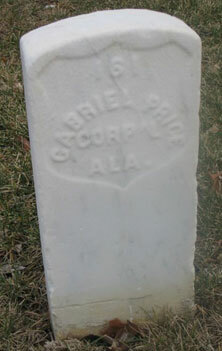 Originally buried in grave #285, Ash Grove US Cemetery. Captured May, 1864. Exchanged at Savannah, GA or Charleston, SC in November or December 1864.